Mobile World Congress 2015 is underway at Barcelona and first day of the event witnesses some stunning phone launches. The much awaited Samsung’s next flagship, the Galaxy S6 was launched. 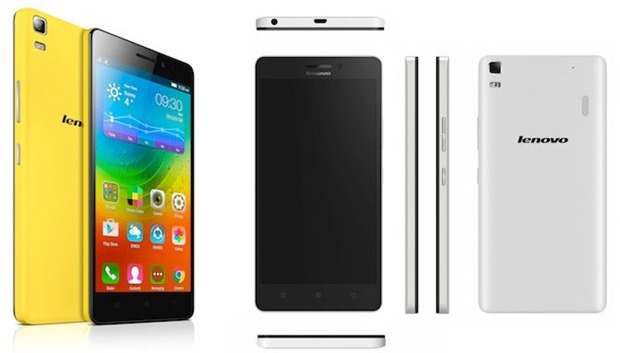 Large 5.5-inch Gionee Elife S7 and Lenovo A7000 were announced. HTC also announced their next flagship phone, the HTC One M9. Number of other phones were also launched during the first day of MWC, but we will bring you much awaited details of these 4 key phones. With every Flagship, Samsung push the boundaries of smartphone specification, and it is somewhat true in case of the Samsung Galaxy S6. The Galaxy S6 sports a bug 5.1-inch screen with display having a higher resolution than its predecessor, The S6 has a bright 2K (2560 x 1440 pixels) display that should offer every bit of detail on the screen (even though we feel it is overkill). As far as the CPU goes, it has Samsung’s own Exynos 7420 processor along with 3GB RAM. The highlight of Galaxy S6 is it’s camera – 5 megapixel front and a 16 megapixel back camera with real-time HDR and a big f1.9 aperture is sure to give you crisp photos even in low light conditions. In addition, it is super fast and launches in under a second so you do not miss any shots due to delay! On the software side, S6 comes with 5.0 Lollipop with TouchWiz UI with some additional features. The phone supports wireless charging for the 2550 mAh battery with quick charging feature to boot. The S6 sensors include Accelerometer, Light, Gyroscope, Proximity, Compass, Barometer, Fingerprint, Hall, HRM. Yes, the phone supports 4G LTE. Along with S6, Samsung also announced the Samsung S6 Edge that has a curved screen, and pretty much the same specs that of S6. You can check out the entire launch event here. The price of Galaxy S6 and edge has not been announced, but better be prepared for yet another Rs. 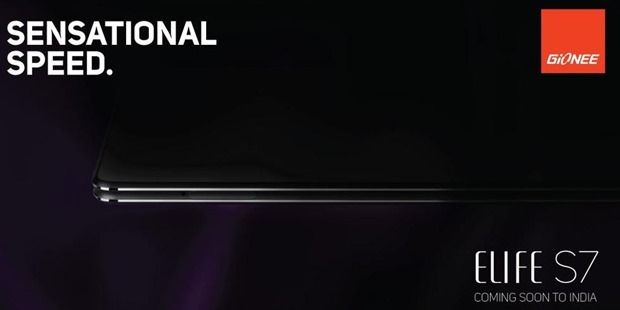 50k+ priced phone at least at the time of the launch! HTC’s next flagship has been long time coming and it’s finally here. While most new phones have over 5 inch screens, HTC One M9 has stuck to a 5-inch, full HD 1080p screen. One M9, like it’s predecessor has a full metal body. Under the hood, this phone has a Qualcomm Snapdragon 810, octa core processor that supports 64 bit architecture and is coupled with 3GB RAM. Interestingly phone comes only in 32GB storage, but the storage can be extended to 128GB with use of MicroSD card. Again, like the S6, HTC One M9 has an excellent camera, atleast on paper. It is a 20MP snapper with sapphire cover lens having an aperture of f/2.2. The rear camera supports 4K video recording, while the front can shoot 1080p videos. The battery is a decent 2840 mAh that should easily last more than a day considering it is a 5-inch screen. On the software side, HTC One M9 comes with Android Lollipop 5.0 with HTC Sense customizations. Price of HTC One M9 has not been announced as yet. In our view, we are underwhelmed by the phone specs, as they are nothing out of ordinary! In 2014, Gionee has come out with some great phones each targeted towards specific audience. The Elife S7 builds up on it’s predecessors Elife S5.5 and Elife S5.1. However, they have not tried to make this slimmer, but packed it with some great features. The phone remains 5.5mm thick and comes with a 5.2-inch 1080p Super AMOLED display, and there is Corning Gorilla Glass 3 protection on both, front and back of the device. The phone is powered with MediaTek MTK6752 64-bit octa-core processor clocked at 1.7GHz coupled with 2GB RAM. The S7 has a 13-megapixel rear and a 8-megapixel front-facing camera. Interestingly, it has 16GB internal storage and yet no MicroSD storage expansion – this is a big downside of S7 in our view. The camera on Elife S7 is super fast – it takes 500 milliseconds to take a capture, and 300 milliseconds to focus onto the object. On the software side, it will have Amigo 3 OS (yet to be launched) that is based on Android 5.0 Lollipop. The Elife S7 will be available in Black, White, and Blue. The pricing is set at 399 euros (approx INR 28000), and this is going to launch in India on April 3rd. In recent times, Lenovo smartphones have been doing quite well, especially in India, thanks to their competitively priced phone sporting some really good specs. Lenovo announced A7000, the successor of much sought after A6000, and from what we can say Indians are going to love this phone because of its price. Priced at $169 or around INR 10,000, it has specs of an high end phone. The A7000 sports a 5.5-inch 720p IPS display that is crisp and vibrant. Lenovo claims that for the first time a smartphone has incorporated Dolby Atmos tech inside a phone, which should be great for music listeners. The Dual SIM Lenovo A7000 is powered by Mediatek MT6752m 1.5 GHz octa-core processor, coupled with 2GB RAM and 8GB internal on-board storage. The storage can be extended upto 128GB as it has a MicroSD card slot. The phone is future ready as it supports 4G LTE and has Bluetooth 4.0. On the software side, the A7000 has Android 5.0 Lollipop with their proprietary Vibe UI skin on top of it. The battery on the phone is rated at 2900 mAh, which should easily last you a day. The A7000 is expected to launch India later in March priced between INR 10,500 to 11,000. IRCTC Amazon Partnership. Just An Affiliate Channel, That’s All!